Step 1: Register or Login on MatkaON. Once you register or login on MatkaON, you will be redirected to dashboard. Step 2: Click the menu icon from the top left corner. This will open the sidebar as shown in the image below. Now click on Deposit Balance and you will see our payment details. Step 3: Make payment of amount you want to deposit in your account. Minimun deposit amount is ₹500. 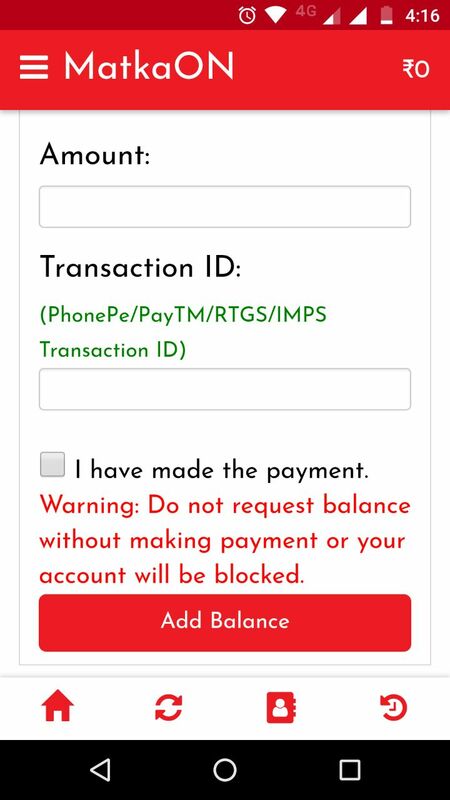 Step 4: Enter the amount, select payment method you used to pay the amount and request balance using the transaction ID of the payment. Step 5: Wait for the amount to be added in your account. It generally takes 30 minutes to get the amount in your account. 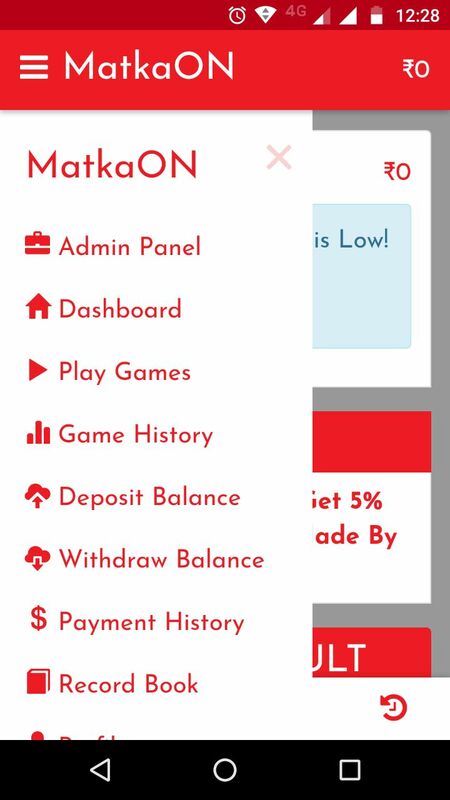 Step 6: Once the balance is added into your account you can play matka games. 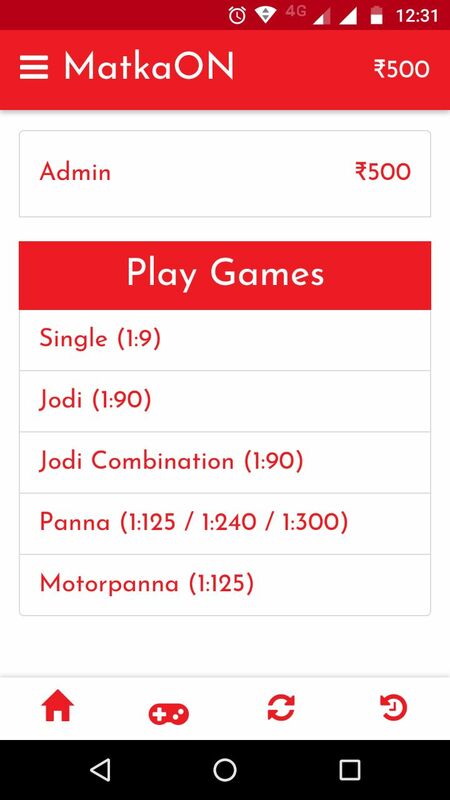 Here's an example of how to play single matka game. Click the play games icon from the bottom and select the game you want to play. In this example, I will select Single. 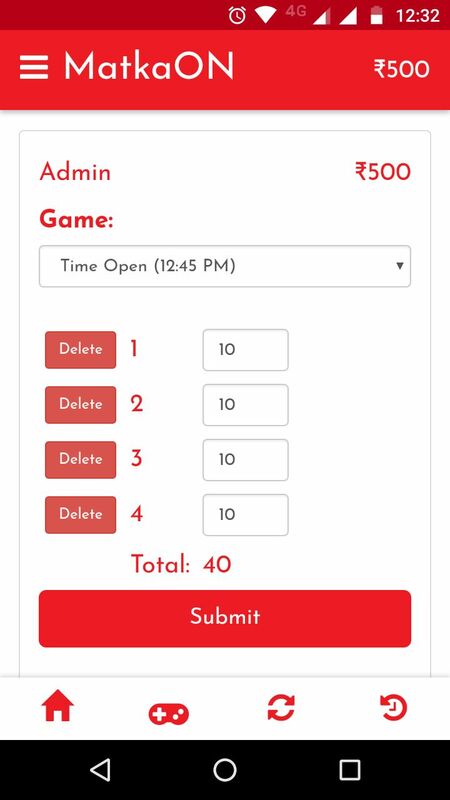 Step 7: Select markets and numbers on which you want to play satta matka game. Enter the bet amount and submit. Minimum bet amount is ₹5. Step 8: Verify the market and numbers and make sure you have the amount in your account or your game will not be submitted. You can delete numbers and change the market before submitting. Once you are sure submit the game. You can see confirmation message as in the image below. Don't worry if the amount if not deducted. It is deducted and you can see it in the dashboard on next load. Step 9: Wait for the result time to see if the game passed or failed. 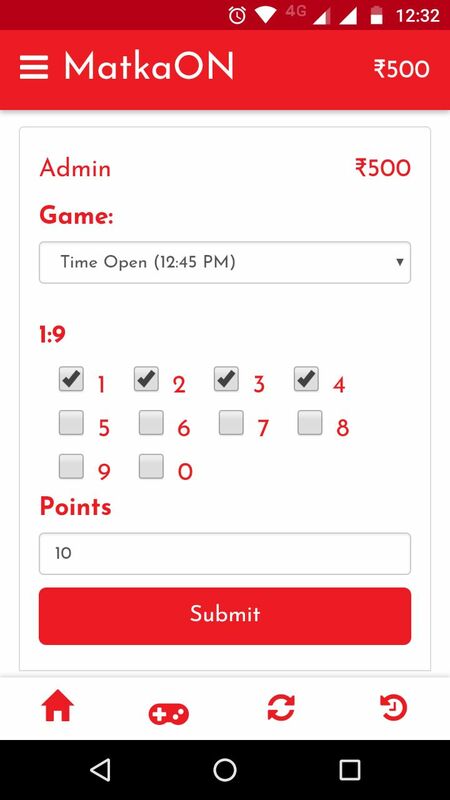 Step 10: You can see the matka result on the dashboard and the game result in the game history. To check the game result click on the game history icon from the bottom right corner. You can see all the games you ever played on MatkaON on this page. By default you will see the games played by you on the current day. 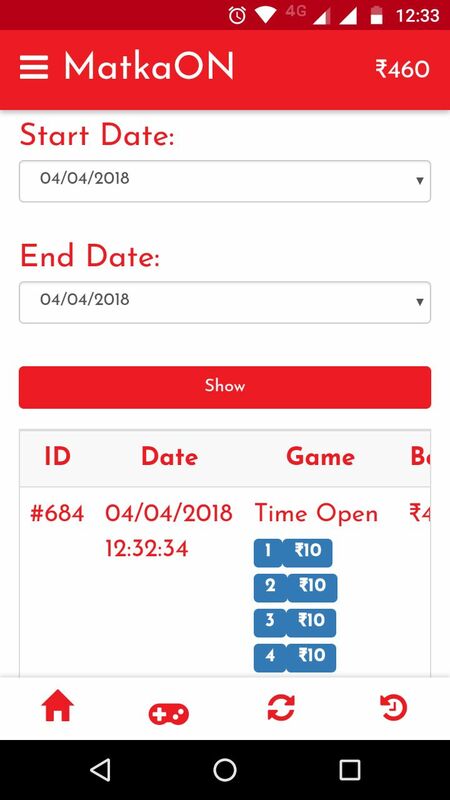 You can adjust the dates to check other game history. You will get the amount multiplied by the following rates if your game is passed. So why wait? Join MatkaON and Play Matka Online Now! How to play matka, how to play satta matka, how to play matka online, how to play matka in hindi, how to play matka in marathi, learn satta in hindi, matka game rules in hindi, how to play satta online in hindi.